The North Atlantic Oscillation (NAO) is the dominant atmospheric pressure mode over the North Atlantic that plays a significant role in determining the winter climate in Europe. Depending on the prevailing state of the NAO, Europe experiences mild or very cold winters and even strong storms. Geoscientists based at Johannes Gutenberg University Mainz (JGU) are currently reconstructing the fluctuations of the NAO over the last 10,000 years with the aim of being able to predict future developments. For this purpose, they use stalagmites obtained from subterranean caves as natural climate archives and are examining new indicators of climate change to retrieve climate information that is as accurate as possible. Initial results indicate that it is likely that the NAO will respond to the melting of the Arctic ice cap in the future, with consequences for our climate, environment, and society as a whole. Dr. Jasper Wassenburg works with stalagmites from caves in the Middle Atlas, a mountain range in the northwest of Morocco. 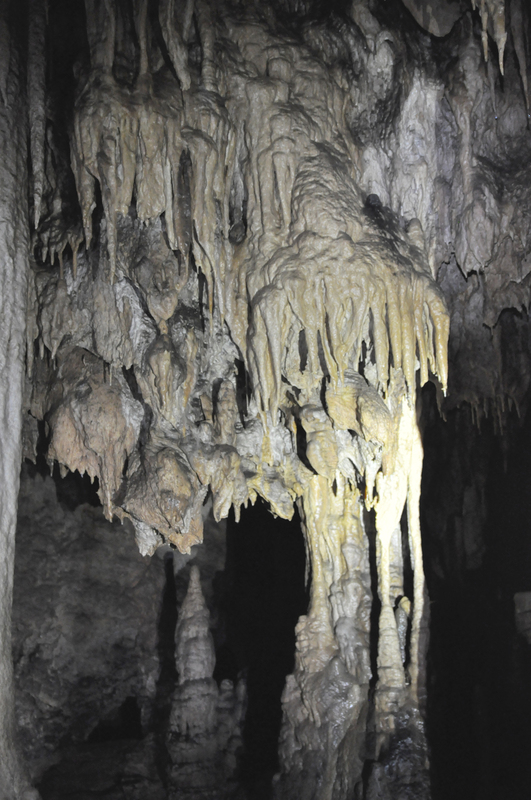 Stalagmites are calcium carbonate deposits that grow from the floor of a cave upwards due to precipitation of calcium carbonate minerals deposited from the dripwater. Calcite is the most common form of calcium carbonate although in some cases it can also be aragonite. "Aragonite, if well preserved, can be dated with remarkable precision. So we prefer aragonite stalagmites over calcitic ones," explained Wassenburg, who is a member of the research team headed by Professor Denis Scholz at the Institute of Geosciences at Mainz University. 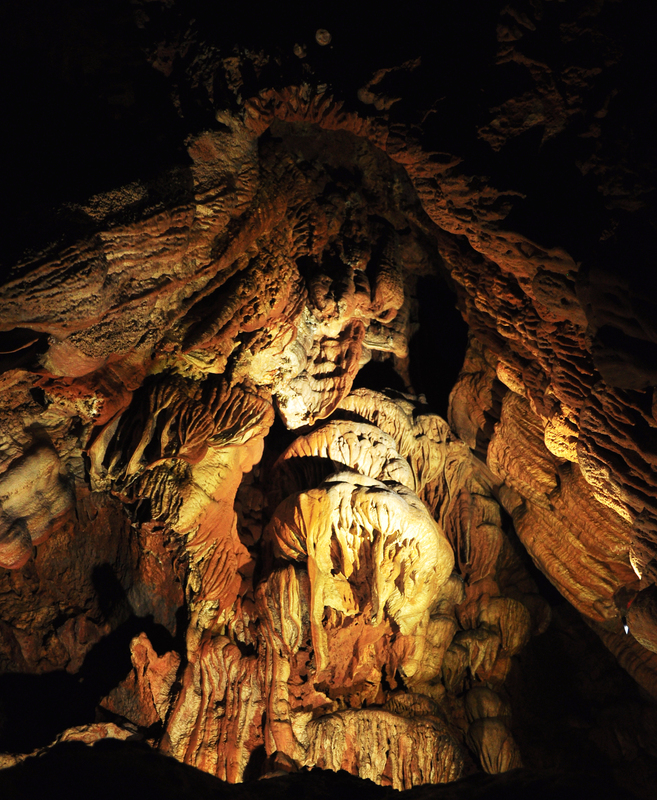 The incorporation of chemical elements in speleothems, which is the term scientists use for the secondary mineral deposits in caves, is often depending on changes in the environment. These elements are known as climate proxies because they provide indirect evidence of climatic history. Wassenburg's study of seven speleothem samples obtained from Morocco, India, France, Spain, and a cave known as the Hüttenbläserschachthöhle in Germany's Sauerland region is the first attempt to identify in detail the concentrations at which trace elements tend to be incorporated in aragonite. "We have been able to demonstrate that the concentration of uranium in aragonite stalagmites is a very precise indicator of prehistoric rainfall patterns," he added. This means that stalagmites can tell us qualitatively how much it rained 200,000 years ago. The results of analysis of the speleothems from the north-west of Morocco were compared with a rainfall reconstruction obtained from other cave deposits from the Bunkerhöhle or Bunker cave in western Germany. This enabled the climate researchers to trace back the fluctuations of the NAO over the past 11,000 years to the end of the last Ice Age. The best reconstruction previously available went back only 5,200 years. "We were surprised to discover that the situation during the early Holocene 11,000 years ago was quite different to that of today. The weather regimes in Europe and Morocco seem to have behaved similarly so that wet weather in Europe also meant more rain in Morocco," explained Wassenburg. This positive correlation disappeared at some point during the transition from the early Holocene to the mid-Holocene. The researchers postulate that this was attributable to a major reduction in the melt water contribution from the Laurentide Ice Sheet that still covered large areas of North America at the end of the Ice Age. "The pattern of the North Atlantic Oscillation is not as stable as we thought," stated Professor Dennis Scholz and added that the NAO will probably also be influenced by today's melting of the Greenland Ice Sheet, with potential effects on the atmosphere, the oceans, and other biological phenomena, including farming and fishing. The team plans to conduct further research in order to reconstruct the changes of the NAO over the last 10,000 years.